It takes more than a little courage to admit that you don’t know how to do something. It takes even more to go ahead and do it anyway. 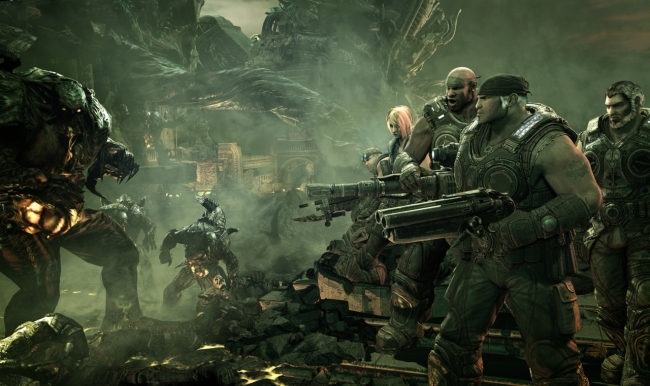 Gears of War designer Cliff Bleszinsky has revealed in a recent interview that Gears of War would have ended up a serious epic more in the vein of Band of Brothers than camp action flicks like Predator, if only the studio knew how to make that happen. “If we get around to ever doing more Gears games, I hope we can continue to drift back more towards a Christopher Nolan type dialogue as opposed to a Tim Burton or Joel Schumacher Batman. But that’s way down the line.” Well it shouldn’t be too hard, just change the theme, relevance, meaning, plot, characterization and dialogue.